"Impostor syndrome." How does it show up for you - self-doubt, hesitation, procrastination, perfectionism, comparison, competition? Or a little gremlin in your head that says, "Who do you think you are? You can't do THAT!" You have something to share with the world -- maybe it’s just the spark of a creative idea or an entire world of inspired vision! 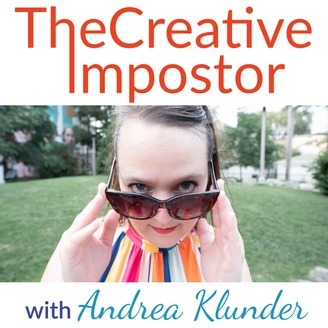 Andrea Klunder and guests show you how to be BOLD and take action, to put your creative work into the world, to have your voice be heard despite all obstacles, fears and doubts. 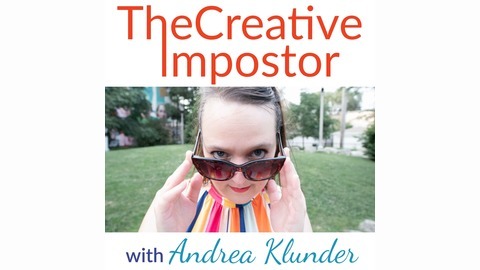 http://www.thecreativeimpostor.com. You may be thinking: well what does YOUR 2019 forecast have to do with ME? Or you may be thinking: spirit guides and oracle cards? Big eye roll! Tina is too! Tina's mini-talk is during the Pecha Kucha Thursday and my Voice Training session is Friday at 5:25pm! Email me. Send me an email and let me know why you listen to the show.So no like formal survey or anything. Just email me. Why do you listen to the show? What do you love most about it or what do you get out of it? So that I can make sure that my new content direction is aligned with what you love and what you want and with you.